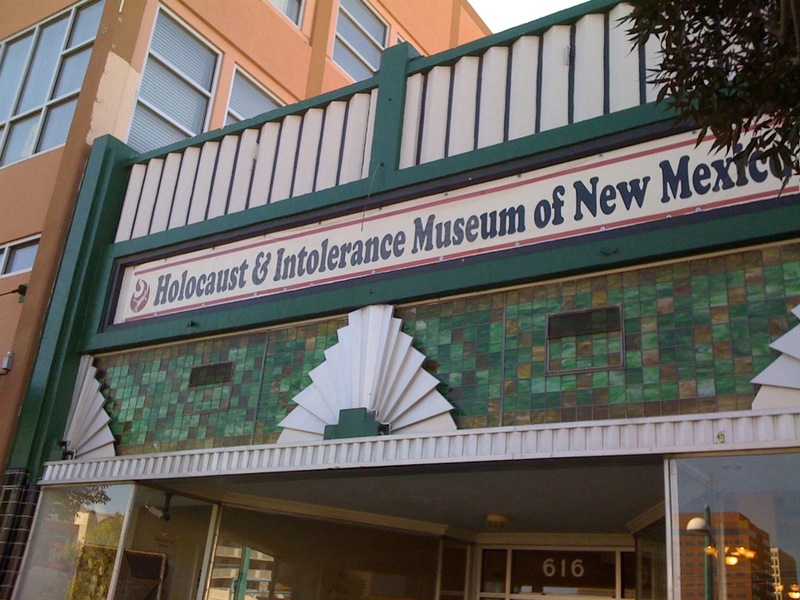 The Holocaust & Intolerance Museum of New Mexico in Albuquerque is a pretty small museum but fairly comprehensive in it’s scope – it includes coverage of the Armenian massacre of the early 1900s, the Rwanda genocide in 1994, as well as having several exhibits of slaves, and extensive coverage of the Nazis killings. Due to a local resident’s generosity, there is also an exhibit of the artwork done by one of the children at Terezin, a Nazi camp that was located in what is now the Czech Republic. The coverage of the Rwanda genocide includes a documentary film about Canadian Lt. Gen. Roméo Dallaire, who commanded the United Nations peace-keeping mission in 1994; the graphic film shows footage taken during 1994 as well as General Dallaire’s return to Rwanda in 2004. There were 800,000 people killed in Rwanda in 3 months – that’s just about 5 persons per minute, according to a chart in the museum. The overwhelming piece for me was the realization that these killings were conducted by neighbors upon neighbors – people they had grown up with, lived next door to, had known all their lives – fueled by the 24-hour radio broadcasts that constantly spewed hateful propaganda. I had one take-away from my visit that I didn’t realize before: it was the realization of just how many people the Nazis killed – not only were there 6 million Jews exterminated, but also 5 million others, including Roma (gypsies), Jehovah’s Witnesses, homosexuals, and others. We hear more about the Nazis killing of the Jewish people than we do about the other people they killed, but perhaps it is important to recognize that the Nazis were interested in preserving and proliferating the Aryan race and that any group of people who didn’t fit their definition of the perfect race of people were subject to extermination – Hitler was able to kill 11 million people in just about 3 years. A group of high school students from Jemez (largely Native American in population) was in the museum when we arrived – it was interesting to over-hear their comments on the treatment that other “groups” of people have experienced, given their own experience as a culture at the hands of the white man; the realization that others have suffered as their people have suffered was a new concept to some of them. Lois October 14, 2011 June 16, 2015 Now What?